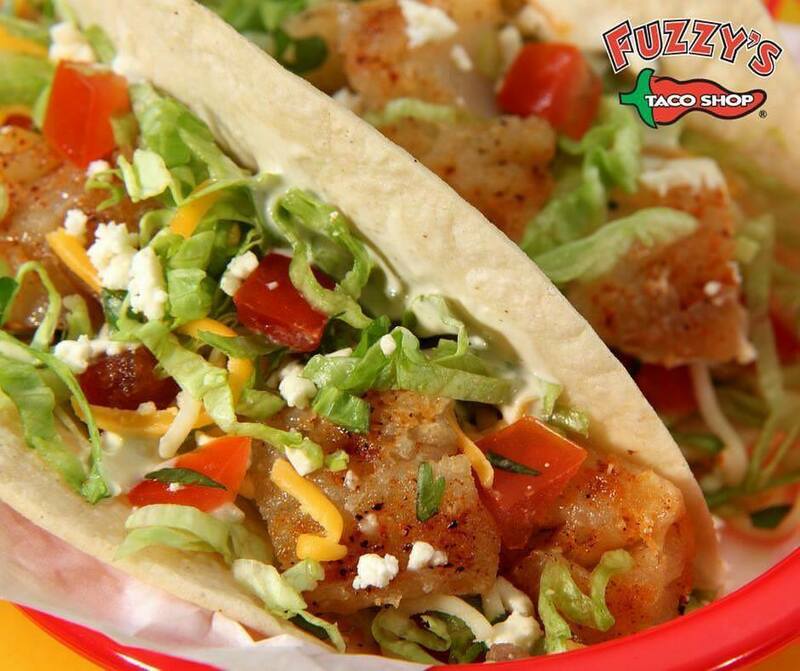 3102 HARDY ST STE 10, HATTIESBURG , MS 39401 Fuzzy's Taco Shop is a fast-casual restaurant serving Baja-style Mexican food in a fun, energetic atmosphere. Fresh tortilla chips seasoned with Fuzzy Dust, and served with Queso with Chorizo. Fresh tortilla chips seasoned with Fuzzy Dust, and served with Queso with Special Ground Beef. Fresh tortilla chips seasoned with Fuzzy Dust, and served with Fire-Roasted Salsa. Fresh tortilla chips seasoned with Fuzzy Dust and served with house-made guacamole. Jalapeño slices battered, fried, and topped with Fuzzy Dust. Served with your choice of dipping sauce. (16 oz.) Soup. A delicious medley of fresh vegetables and hearty beans in a chicken broth. 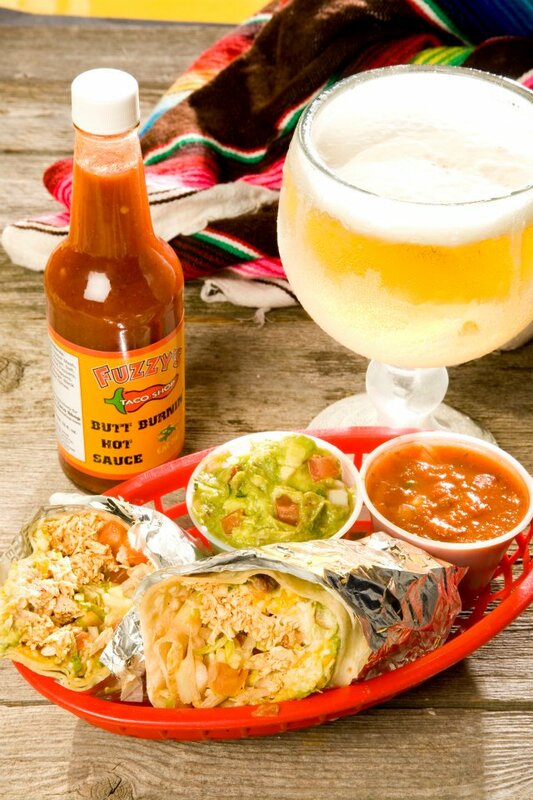 Topped with shredded cheese, cilantro, and tortilla chips. (16 oz.) Borracho beans served with spicy pork, pico de gallo, chips, and shredded cheese. Shredded chicken served on a fresh lettuce blend. 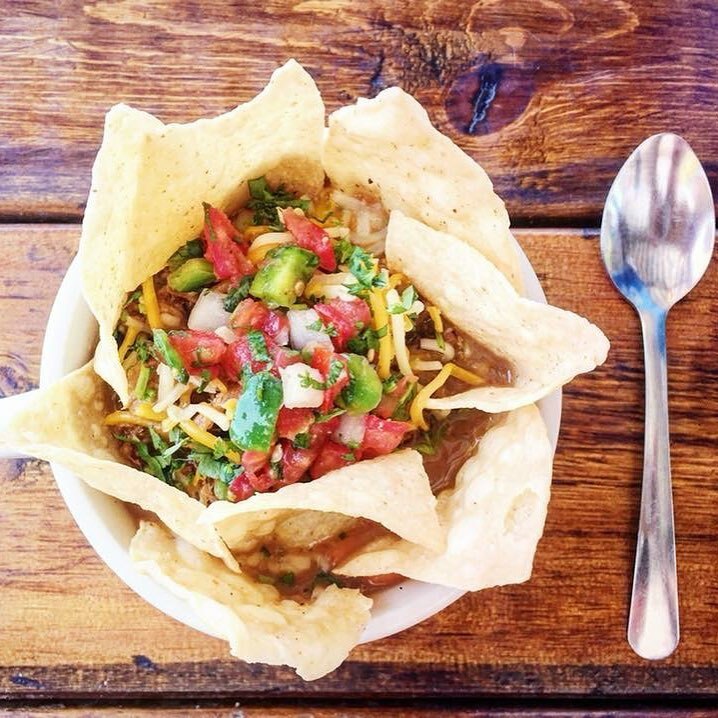 Topped with tomatoes, onions, shredded cheese, feta, cilantro, tortilla strips, and your choice of dressing. A mix of shredded zucchini, squash, and carrots served on a fresh lettuce blend. 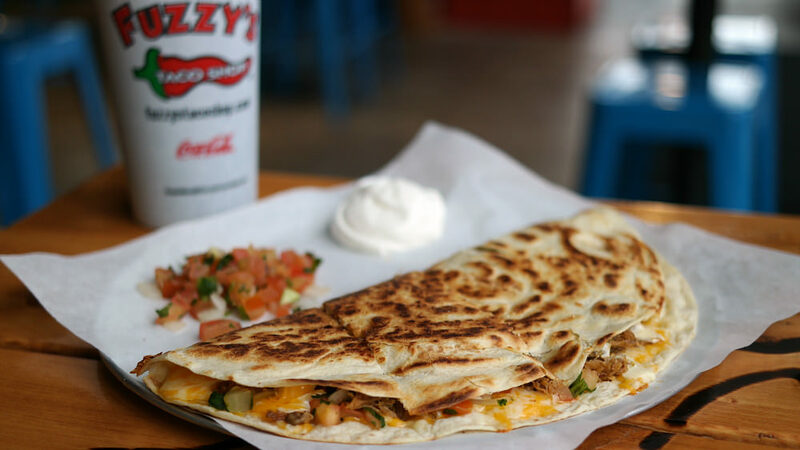 Topped with tomatoes, onions, shredded cheese, feta, cilantro, tortilla strips, and your choice of dressing. Grilled tilapia served on a lettuce blend. 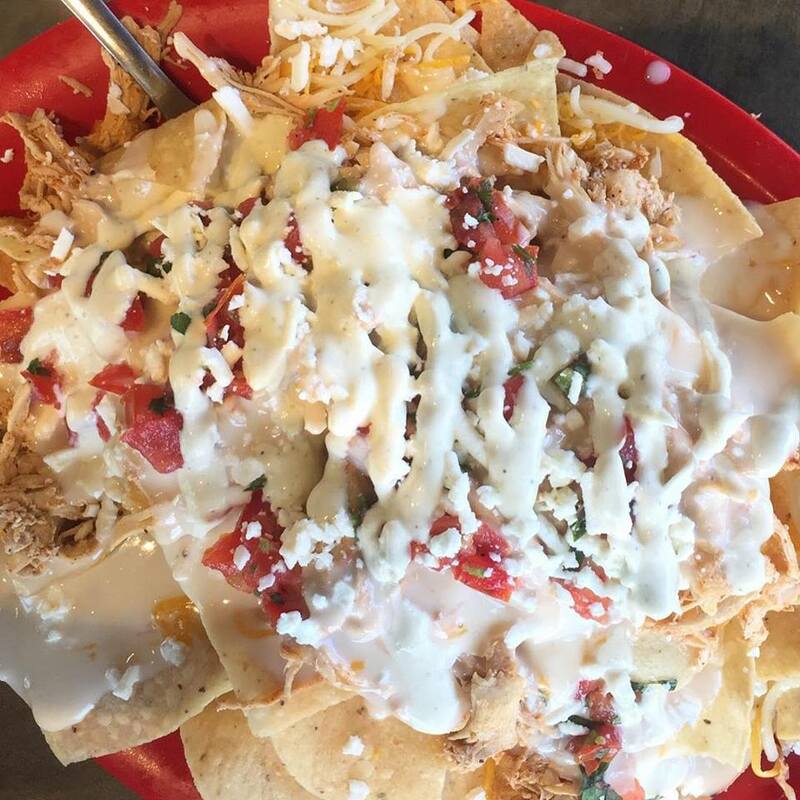 Topped with tomatoes, onions, shredded cheese, feta, cilantro, tortilla strips, and your choice of dressing. 670 Calories Fajita beef, lettuce, cilantro-lime rice, black beans, guacamole, pico de gallo, shredded cheese, and cilantro topped with spicy chimichurri sauce. 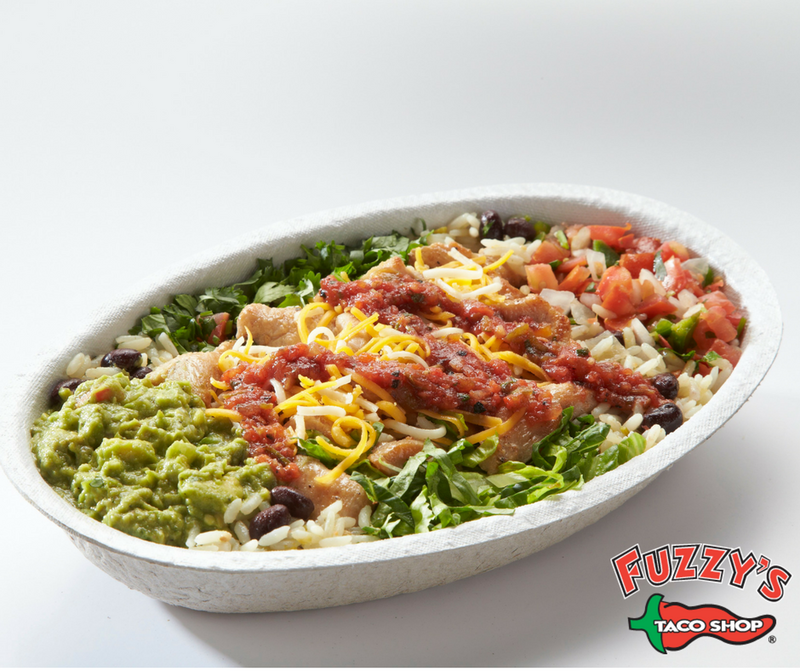 590 Calories Fajita chicken, lettuce, cilantro-lime rice, black beans, guacamole, pico de gallo, shredded cheese, and cilantro topped with fire-roasted salsa. 510 Calories Fajita veggies, lettuce, cilantro-lime rice, black beans, guacamole, pico de gallo, shredded cheese, and cilantro topped with spicy chimichurri sauce. 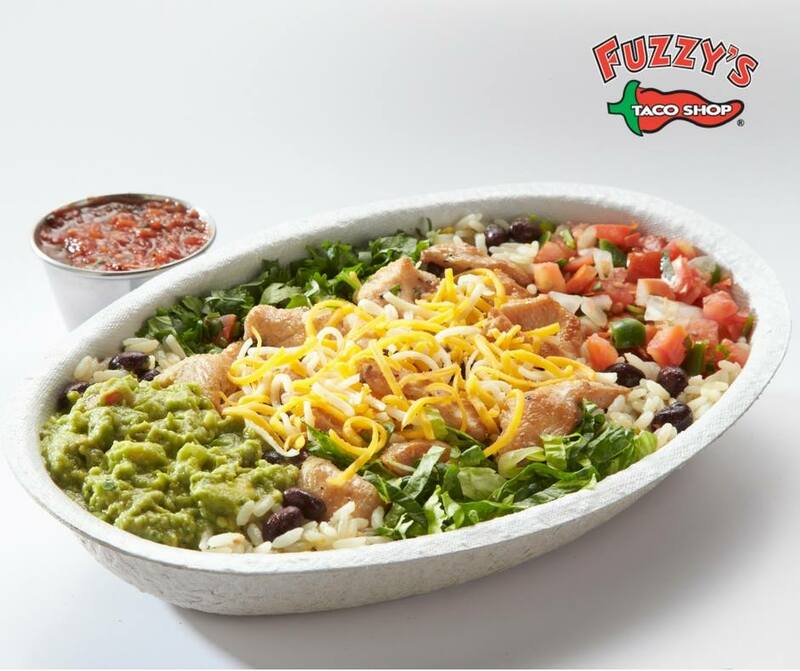 600 Calories Shredded chicken, lettuce, cilantro-lime rice, black beans, guacamole, pico de gallo, shredded cheese, and cilantro topped with fire-roasted salsa. 650 Calories Shredded brisket chicken, lettuce, cilantro-lime rice, black beans, guacamole, pico de gallo, shredded cheese, and cilantro topped with spicy chimichurri sauce. 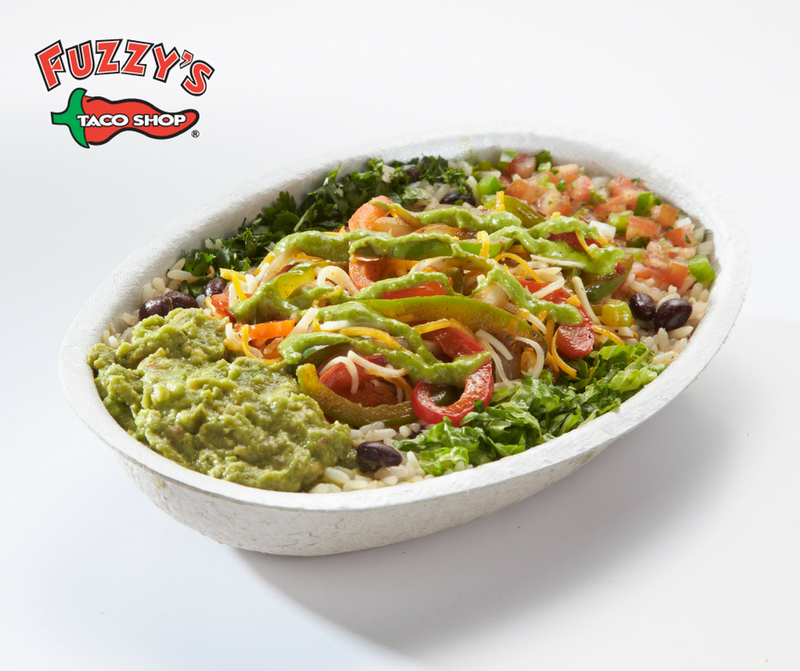 570 Calories A mix of shredded zucchini, squash, carrots, black beans lettuce, cilantro-lime rice, black beans, guacamole, pico de gallo, shredded cheese, and cilantro topped with spicy chimichurri sauce. 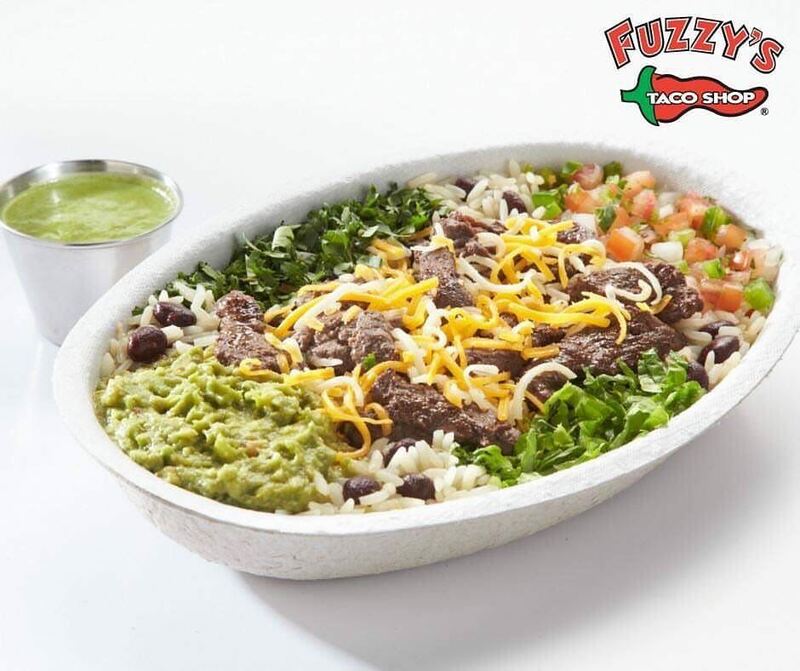 730 Calories Special ground beef, lettuce, cilantro-lime rice, black beans, guacamole, pico de gallo, shredded cheese, and cilantro topped with spicy chimichurri sauce. 690 Calories Spicy pork, , lettuce, cilantro-lime rice, black beans, guacamole, pico de gallo, shredded cheese, and cilantro topped with spicy chimichurri sauce. 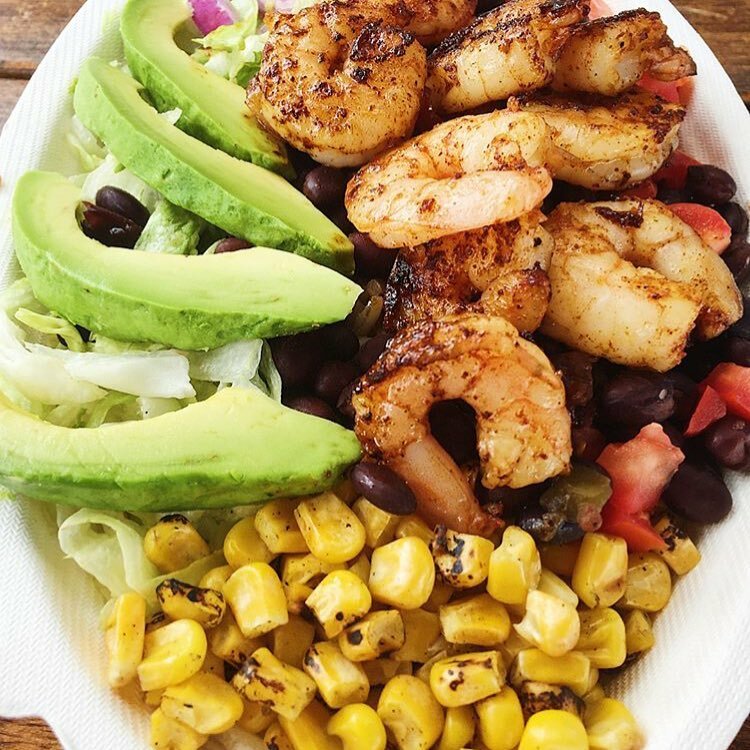 660 Calories Grilled shrimp, lettuce, cilantro-lime rice, black beans, guacamole, pico de gallo, shredded cheese, and cilantro topped with spicy chimichurri sauce. 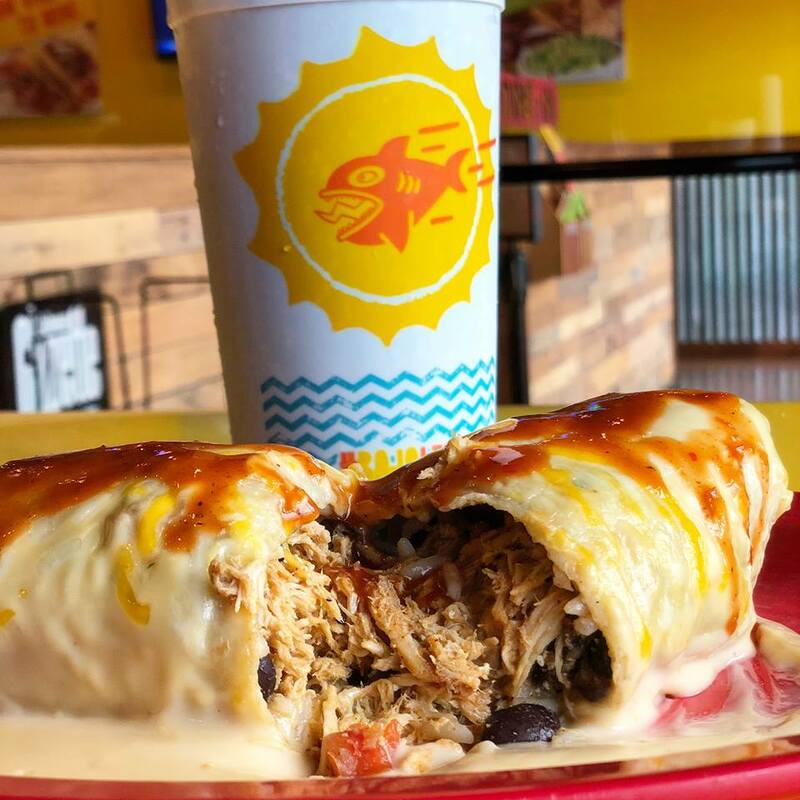 790 Calories Served with three flour tortillas, guacamole, lettuce, sour cream, shredded cheese, pico de gallo, grilled peppers and onions with your choice of 2 sides. 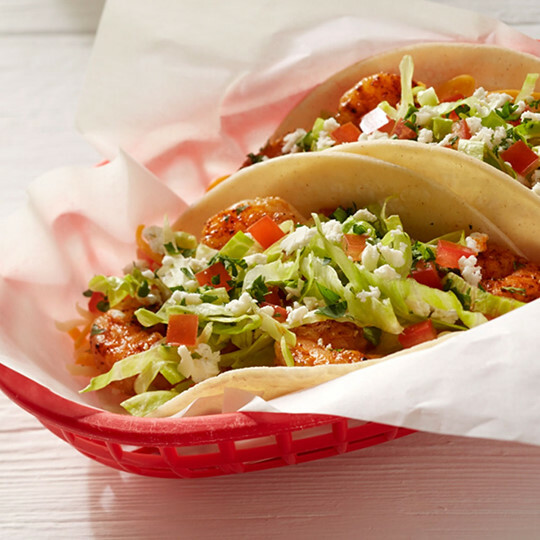 745 Calories Served with three flour tortillas, guacamole, lettuce, sour cream, shredded cheese, pico de gallo, grilled peppers and onions with your choice of 2 sides. 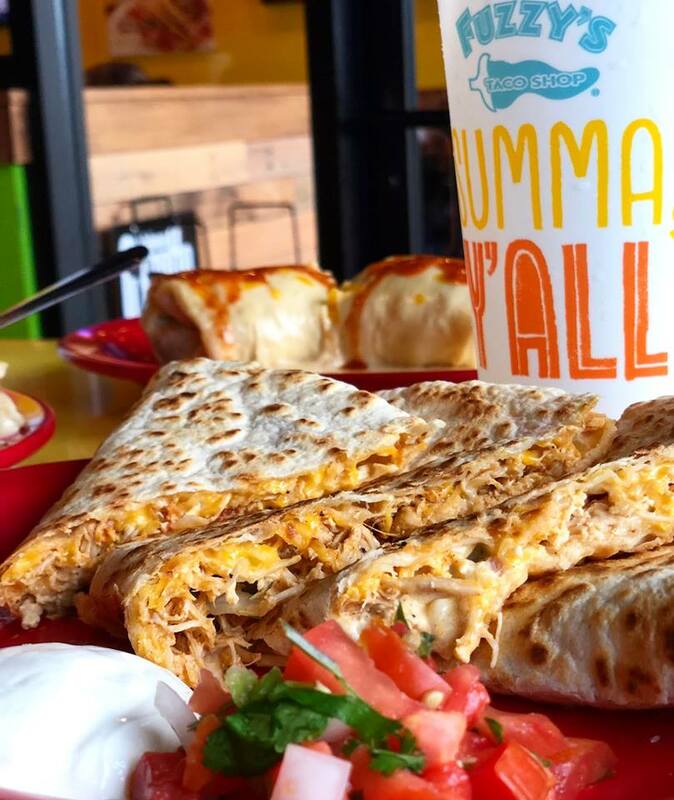 780 Calories Served with three flour tortillas, guacamole, lettuce, sour cream, shredded cheese, pico de gallo, grilled peppers and onions with your choice of 2 sides. 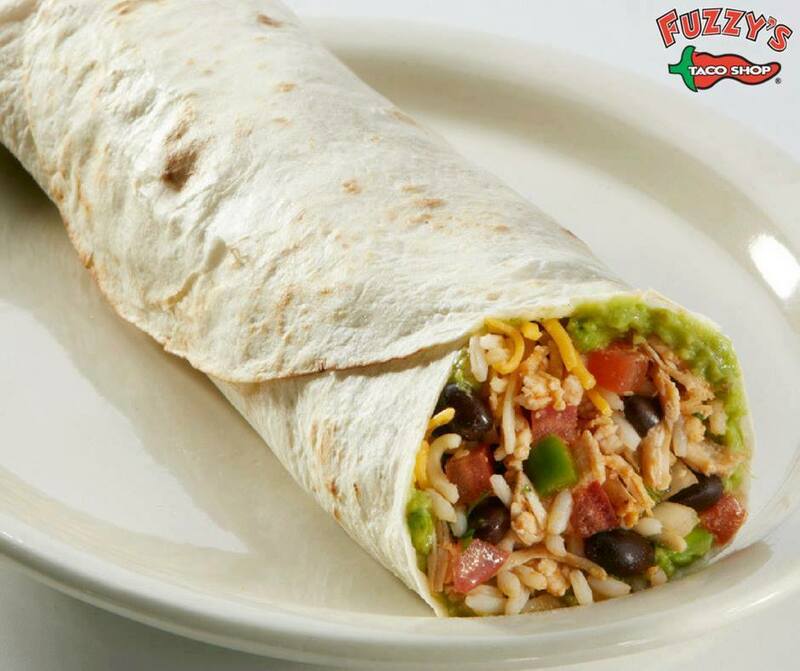 770 Calories Served with three flour tortillas, guacamole, lettuce, sour cream, shredded cheese, pico de gallo, grilled peppers and onions with your choice of 2 sides. 160 Calories Black beans cooked with pico de gallo and seasonings. 140 Calories Pinto beans cooked with beer, bacon, pico de gallo, and seasonings. 260 Calories Refried beans topped with shredded cheese. 210 Calories Vegetable and rice mix with a baja twist. 170 Calories Rice infused with cilantro and lime flavors. 260 Calories Diced potatoes cooked with onions and seasoned with Fuzzy Dust. 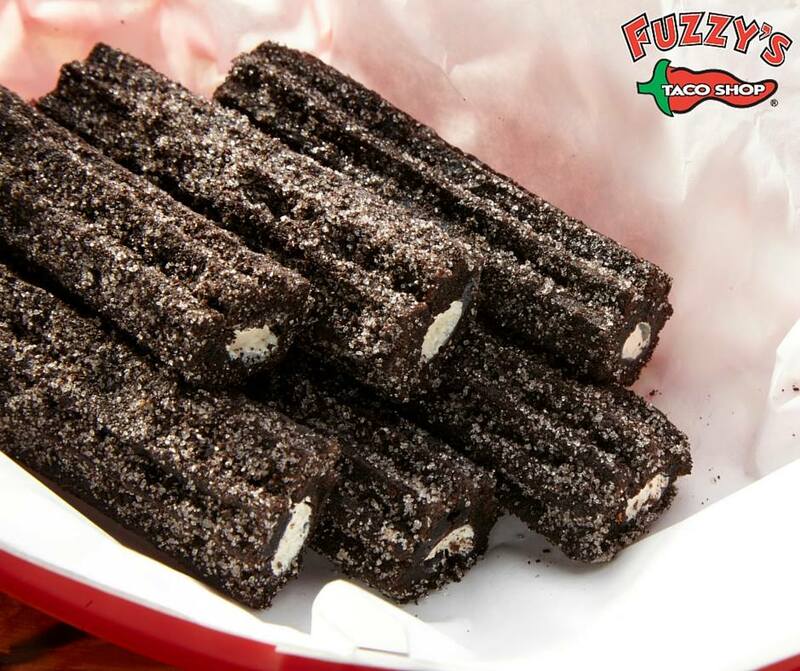 660 Calories Delicious fried-dough pastries made with Oreo® Cookie pieces and filled with real Oreo® Creme. 430 Calories Flour tortilla chips lightly fried and topped with cinnamon-sugar and honey. 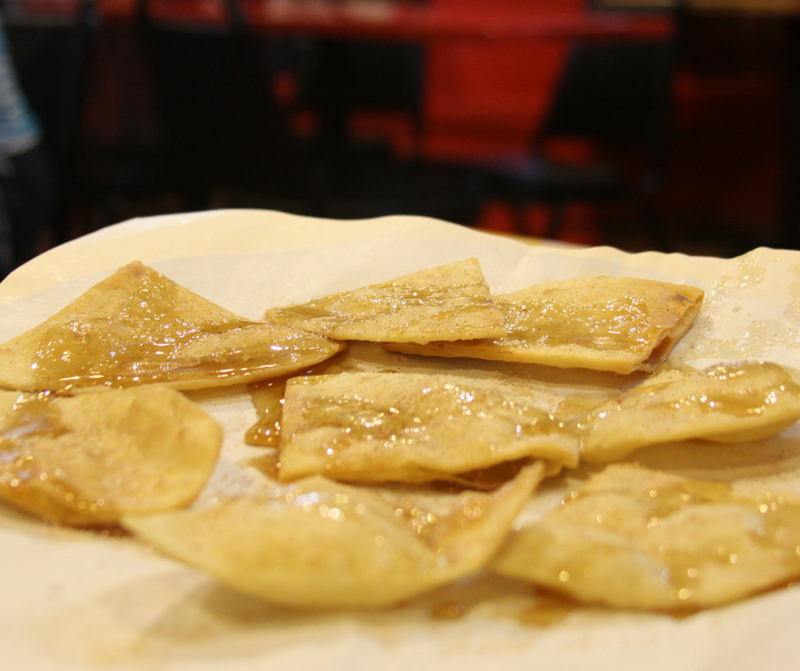 850 Calories Flour tortilla chips lightly fried and topped with cinnamon-sugar and honey. 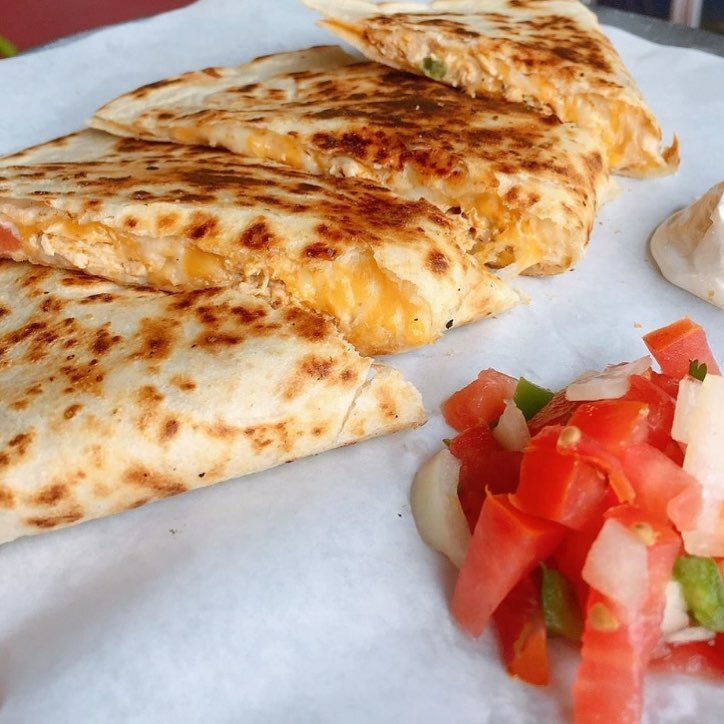 340 Calories Cheese-stuffed flour tortilla served with queso or ranch dip and a snack. 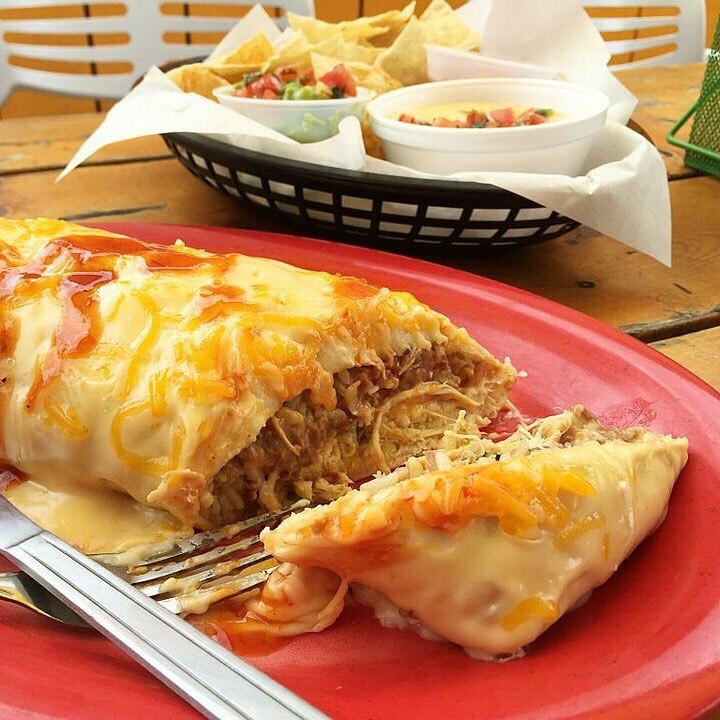 420 Calories Special ground beef & cheese-stuffed flour tortilla served with queso or ranch dip and a snack. 530 Calories Pile of fresh tortilla chips topped with shredded cheese and queso, and served with a snack. 270 Calories Crispy chicken sticks served with queso or ranch dip, one side, and a snack. 1040 Calories Two fried eggs, tomatoes, jalapeños, onions, and fire-roasted salsa. Served with refried beans, Latin-fried potatoes, two flour tortillas, and salsa verde. 1160 Calories Two scrambled eggs, chorizo, pico de gallo, and tortilla strips. 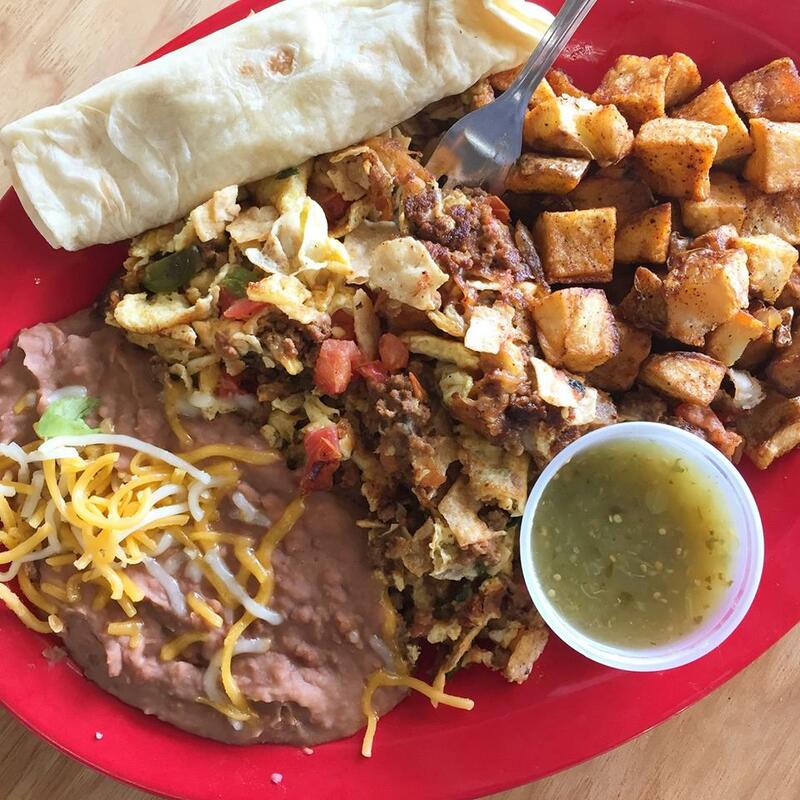 Served with refried beans, Latin-fried potatoes, two flour tortillas, shredded cheese, and salsa verde. 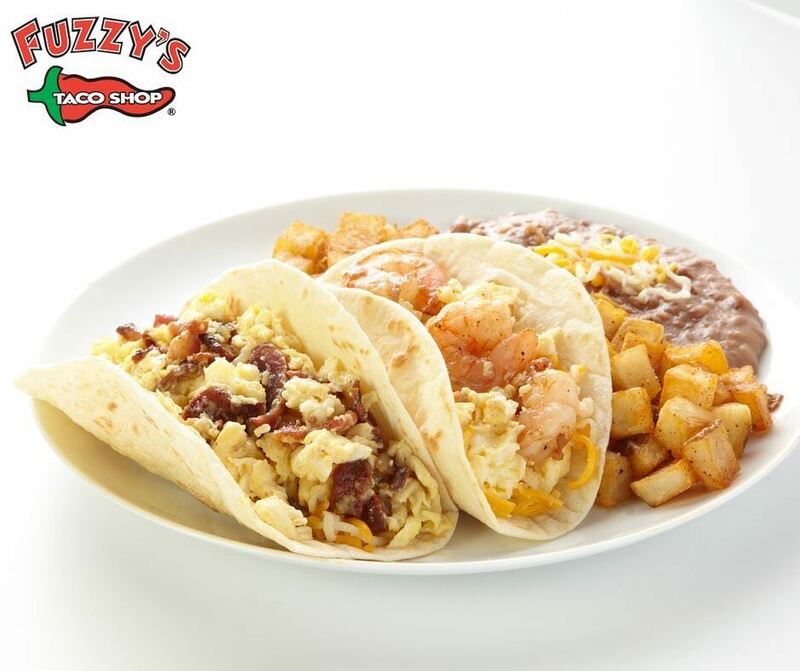 1160-1210 Calories Two scrambled eggs, choice of meat, tortillas strips, shredded cheese, and pico de gallo. Served with Latin-fried potatoes, refried beans, two flour tortillas and salsa verde. 300 Calories Egg and cheese served on a flour tortilla. 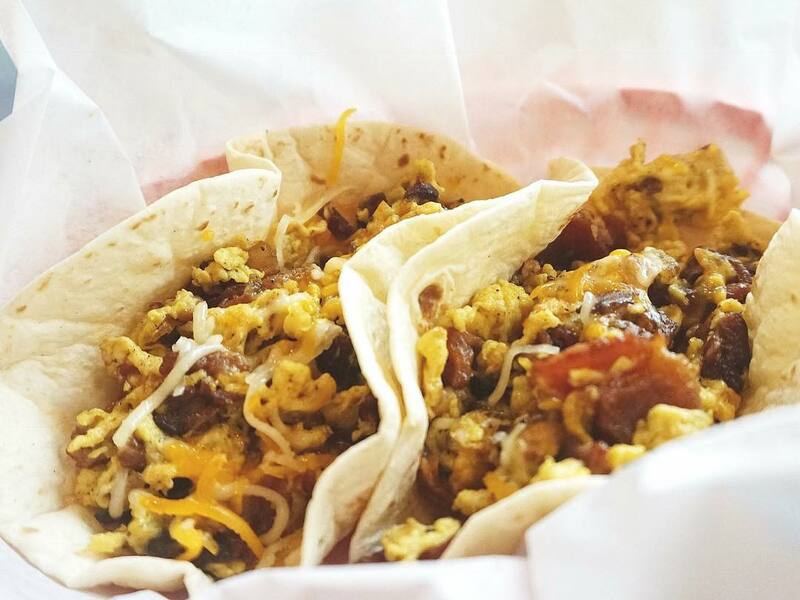 390 Calories Chorizo, egg, and cheese served on a flour tortilla. 390 Calories Shrimp, egg, and cheese served on a flour tortilla. 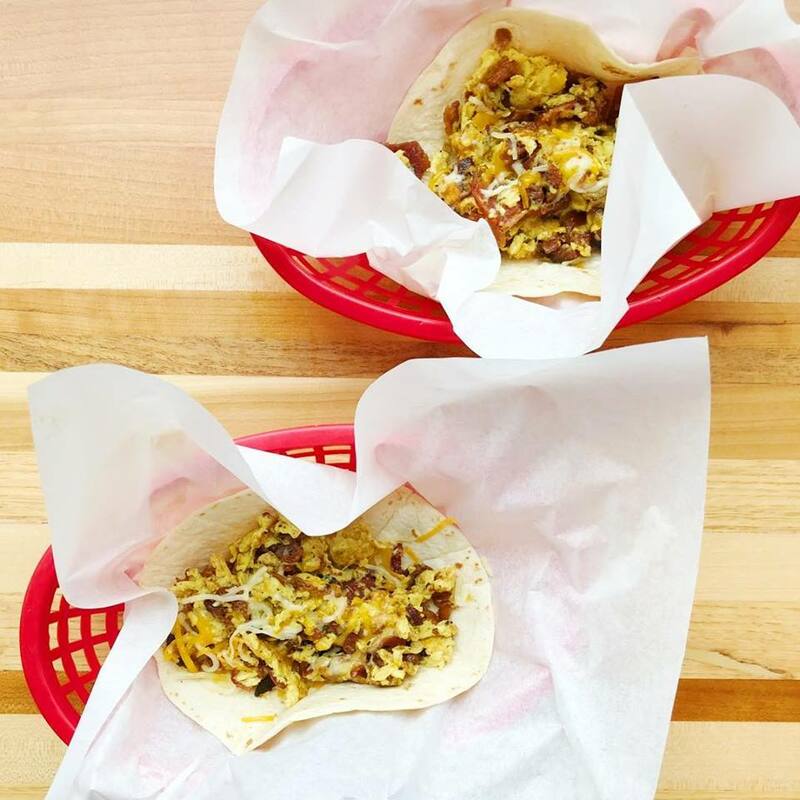 490 Calories Diced bacon, potatoes, egg, and cheese served on a flour tortilla. 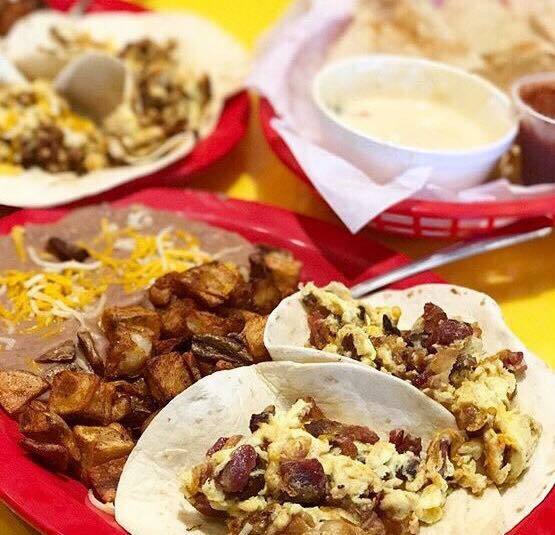 440 Calories Chorizo, potatoes, egg, and cheese served on a flour tortilla. 800 Calories Egg and cheese wrapped in a large flour tortilla. 950 Calories Potatoes, egg, and cheese wrapped in a large flour tortilla. 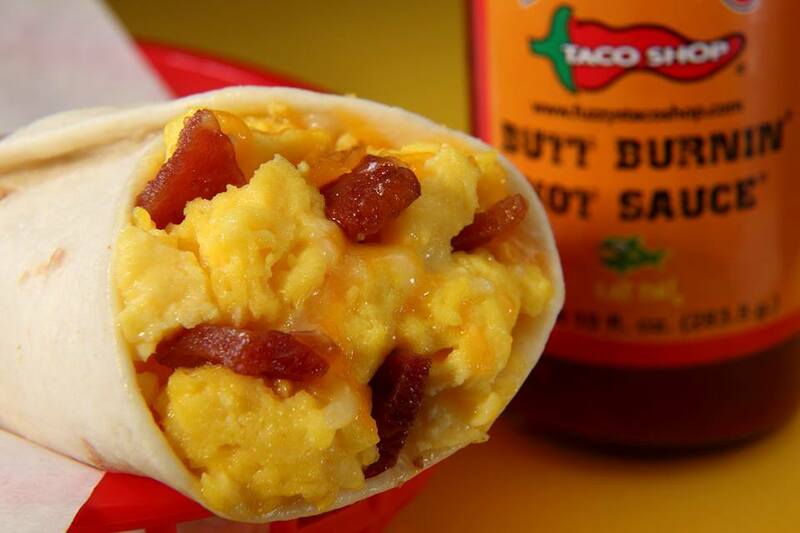 1080 Calories Diced bacon, egg, and cheese wrapped in a large flour tortilla. 990 Calories Chorizo, egg, and cheese wrapped in a large flour tortilla. 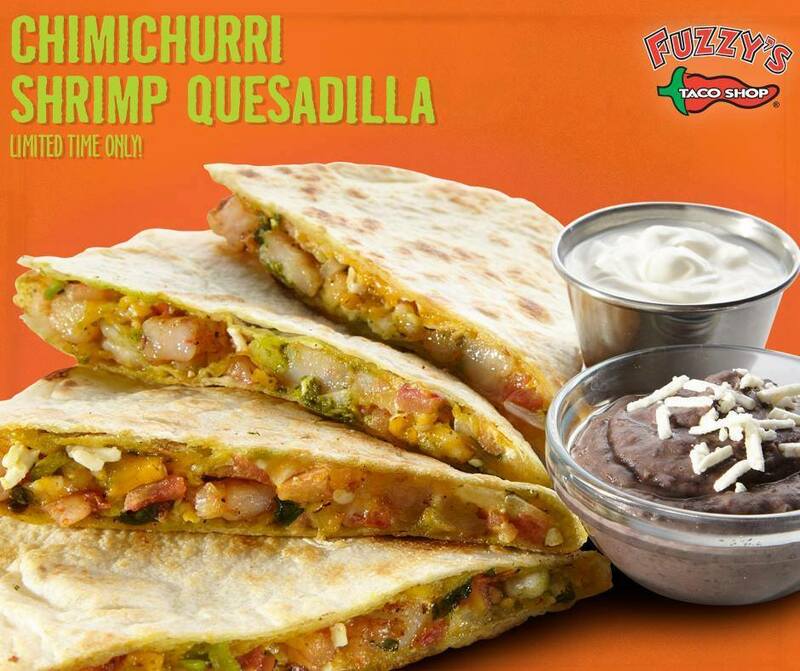 980 Calories Shrimp, egg, and cheese wrapped in a large flour tortilla. 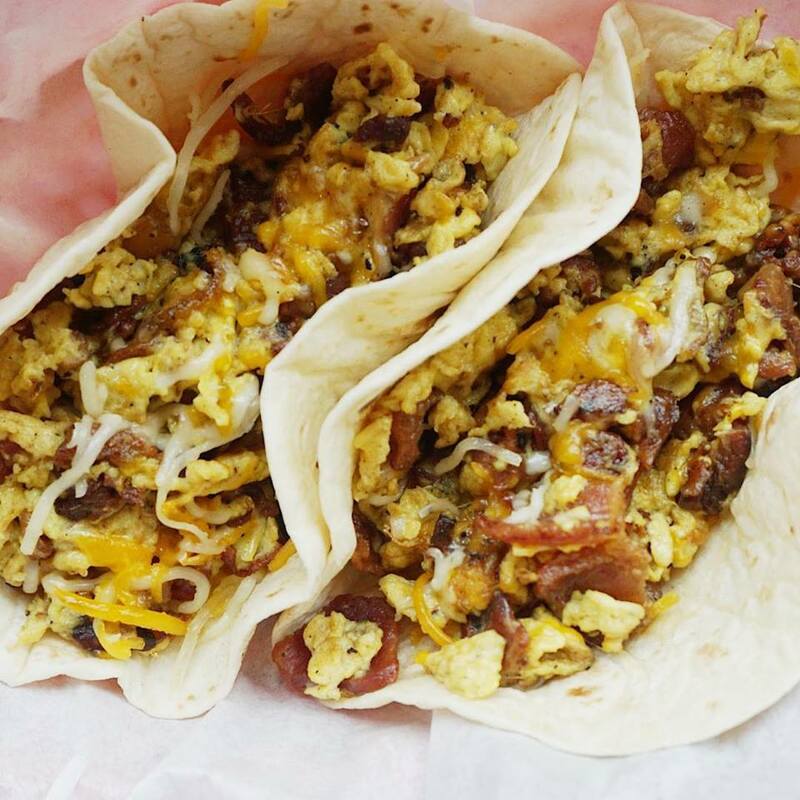 1230 Calories Diced bacon, potatoes, egg, and cheese wrapped in a large flour tortilla. 1140 Calories Chorizo, potatoes, egg, and cheese wrapped in a large flour tortilla.